POLICE SEE INCREASE IN ATV COMPLAINTS. The New Castle County Division of Police reminds residents that Delaware law prohibits the operation of OHVs/ATVs on public roadways, sidewalks, private property (without the consent from the property owner) or right-of-way locations within the State of Delaware. The only exception to this law is during special events, which require permits from the governmental body having jurisdiction over the area. The penalties for riding an OHV/ATV in prohibited areas include a citation, towing/ storage fees and if convicted a fine of $100 and impoundment for up to 100 days at the expense of the owner. If there are subsequent offense(s) within 24 months of a prior conviction or of a similar OHV state or local law, statute or ordinance, an operator could face a fine of $400 and impoundment for a mandatory minimum time period of six (6) months, at the expense of the owner. Please contact the New Castle County Division of Police if you observe an OHV/ATV operating on any of the above-listed areas. This can be done by calling the non-emergency number at (302) 573-2800. You will be asked to provide a description of the OHV/ATV, operator and location. Citizens can also submit a tip via our website at http://www.nccpd.com.,or (IM) on the New Castle County Division of Police Facebook page. Citizens can also submit a tip anonymously by text. Send a text to 847411 with NCCDE in the text field and your tip. 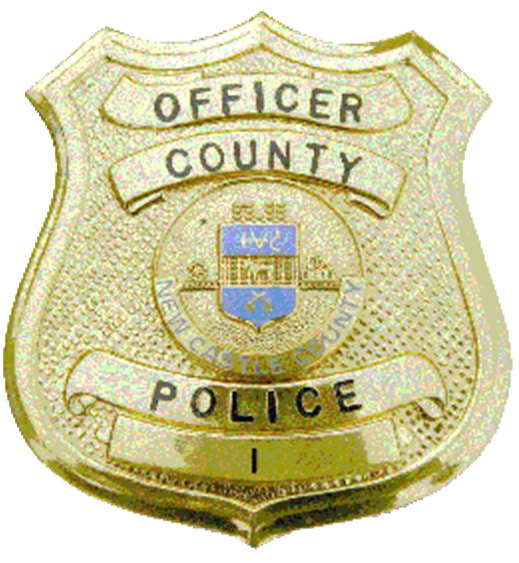 (Wilmington, De 19808) Yesterday (Apr 14) at approximately 8:45 p.m., officers from the New Castle County Division of Police were dispatched to the 500 block of Milltown Road, near the community of Cedarcrest, in reference to a motor vehicle crash involving a bicycle. When the officers arrived they learned that a 55-year-old man had been bicycling eastbound on Milltown road. Around the area of the 500 block of Milltown Road, the rider came upon a parked car. As he went around it he was struck by an unknown vehicle and thrown from his bike. The vehicle then continued on and left the area. The rider was transported to a local hospital for serious but non-life threatening injuries. The investigation revealed that the vehicle that struck the bicyclist was a Chrysler product, unknown model, but red in color. If you have any information pertaining to this investigation, please contact Ofc Robert Grover (Robert.Grover@newcastlede.gov. ) or New Castle County Division of Police at (302) 573-2800. Citizens can also submit a tip via our website at http://www.nccpd.com.,or (IM) on the New Castle County Division of Police Facebook page. Citizens can also submit a tip anonymously by text. Send a text to 847411 with NCCDE in the text field and your tip. (Wilmington, DE 19805) During evening hours of April 2nd and early morning hours of April 3rd, officers from the New Castle Division of Police were dispatched to the area of Village Road in the community of Lancaster Village for thefts from (unsecured) multiple motor vehicles. Multiple items were stolen including credit cards. These pictures are from surveillance cameras where the credit cards were used. (Family Dollar at 1005 W 4th Street, Wilmington and Fresh Grocer at 800 W 4th Street, Wilmington). If you can identify any of these suspects or have any information regarding this investigation, please contact Det Loftus at (302)395-8110 or Andrew.Loftus @newcastlede.gov or by calling the New Castle County Police non-emergency number at 302-573-2800. Citizens can text a tip anonymously simply by texting the number 847411 keyword: NCCDE. You can also submit a tip via our website at http://www.nccpd.com. Tipsters may also call Crime Stoppers at (800) TIP-3333 or visit us on Facebook (IM) at New Castle County Division of Police. Contact Information / Proudly powered by WordPress Theme: Newsworthy.